I am 55 or over and looking for help managing my assets before, during and after my retirement. We create custom investment portfolios tailored to your unique needs and circumstances. Not only do we consider your investment goals and risk tolerance, but also your preferences and overall investing philosophy. 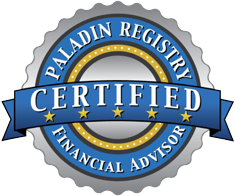 We look at your entire financial situation, not just the assets we are responsible for. We want to clearly see the big picture so we can give you the best advice. While we charge an initial planning fee, ongoing financial planning advice is included with our asset based investment management fee. The more you know about your financial situation, the better prepared you are to make informed day-to-day financial decisions. We know that it can be an arduous task to review monthly or quarterly investment statements for several accounts. So we make it easy by organizing all of your accounts into a combined portfolio that you can view in an easy to read summary statement. Further, with client login available through the website you have the capability to access on demand, real time portfolio performance at your fingertips. ​Have​ ​you​ ​stress​ ​tested​ ​your​ ​portfolio​ ​for​ ​a​ ​bear​ ​market?